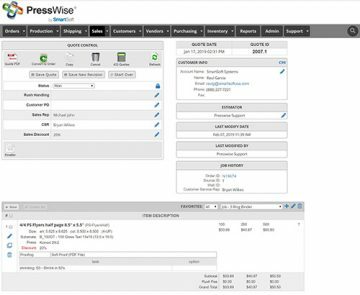 Increase your efficiency, saving valuable time and money with PressWise’s browser-based print estimating engine that streamlines the estimating and quoting process, producing consistent quotes that are easily converted to live jobs. From business cards to complex projects, estimators, CSRs, Sales Reps or even customers can quickly produce professional looking quotes that can be emailed in one click and retained for later retrieval. Existing jobs and quotes can be easily converted to new orders. 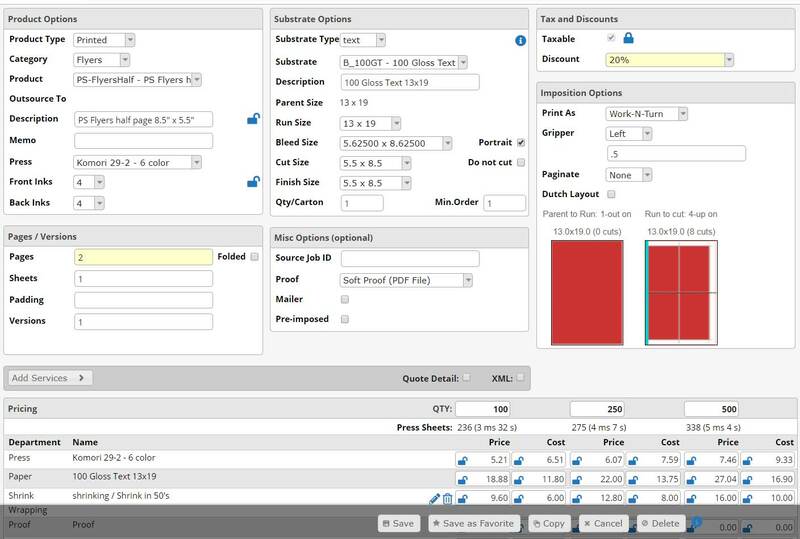 Custom pricing is supported for each client, as well as individual products. Paper and other cost centers are easily defined so unique one-of-a-kind jobs can be quoted for any quantity. 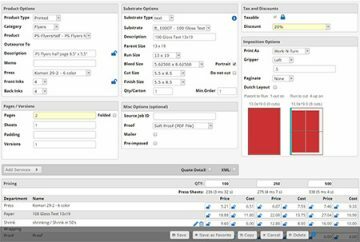 Customers will learn to use the online estimator and build their own jobs, upload their artwork and place orders around the clock. 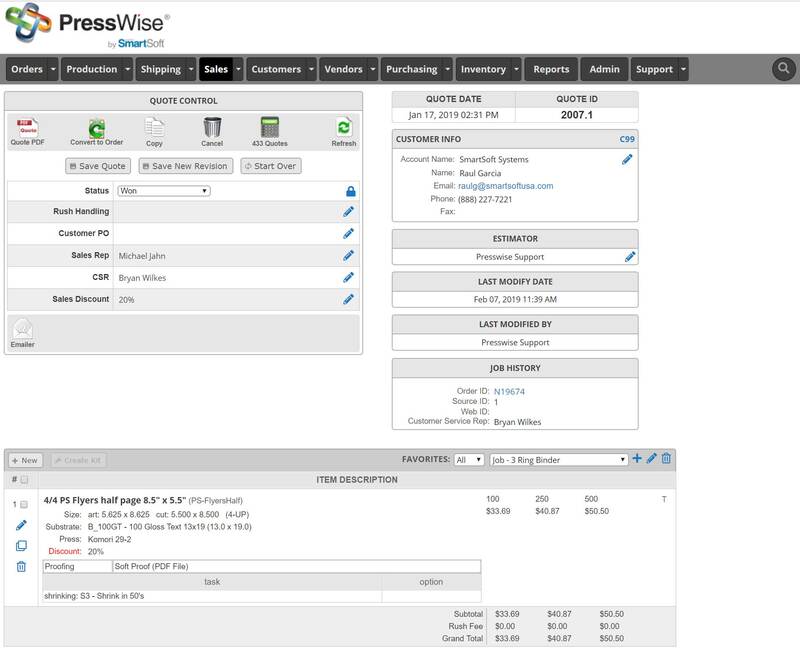 This ease of use creates greater brand loyalty and the incremental print revenue you need to boost your bottom line.